#2,674 Woodshop Brothers. 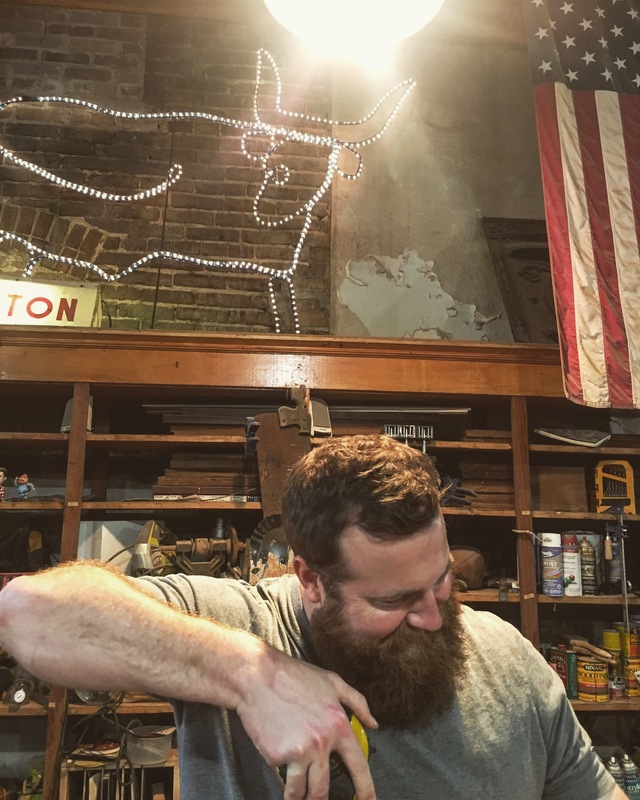 – Laurel Mercantile Co.
Now reading: #2,674 Woodshop Brothers. 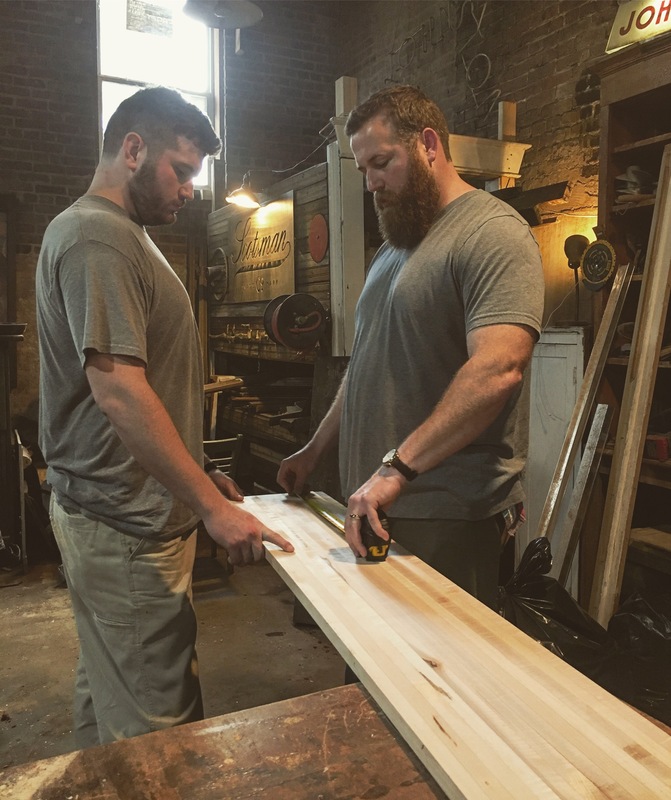 Jesse moved down to Laurel last month to start apprenticing under his big brother in the woodshop and it’s been amazing to see his confidence in woodworking grow every day as he learns new things. I’m really proud of him. 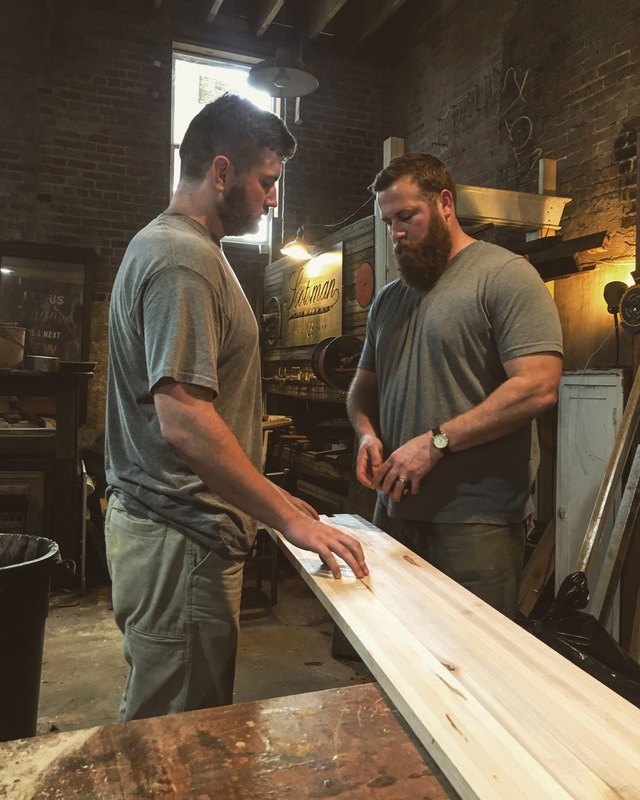 I’m especially proud of the butcher blocks he and Ben made from the remnants of the custom countertops from tonight’s episode. I wish they taught more trades in high school because I bet there are so many kids who would enjoy woodworking if only they were exposed to it. I remember my big brother taking a woodshop class in the early 90s but at some point they stopped offering it. 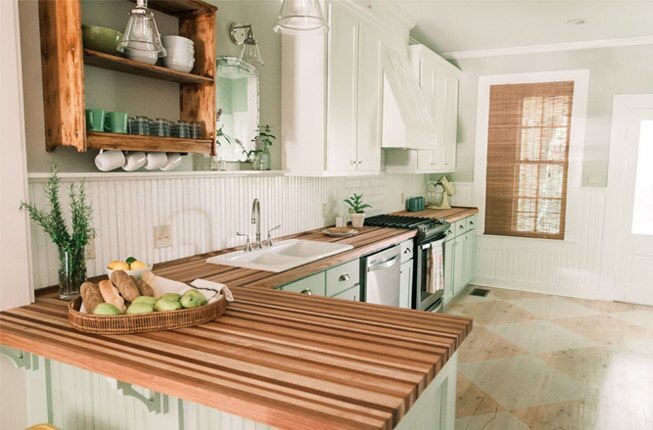 How cool is it to be able to make a butcher block or a rolling pin with your own two hands?